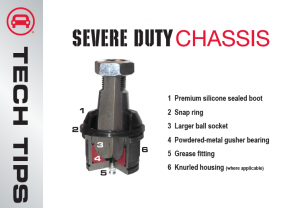 Severe Duty Chassis: When Should You Choose Severe Duty? 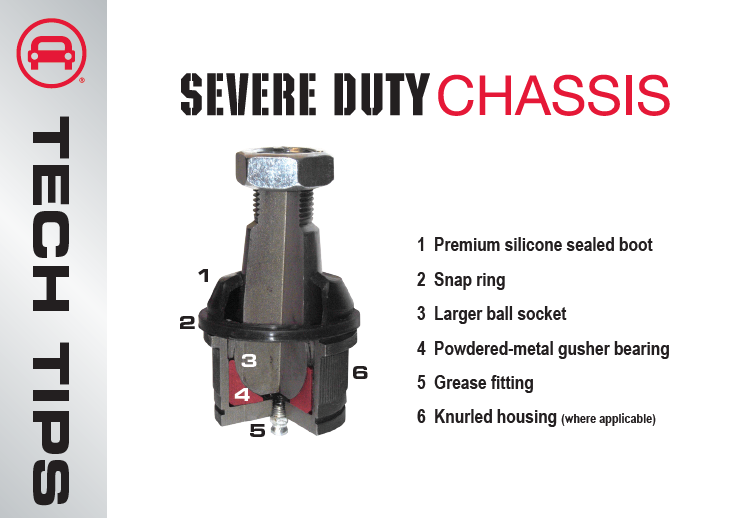 Autopart International Severe Duty is more durable and lasts longer for light duty trucks, SUV’s and commercial vehicles. With premium silicone sealed boots, snap ring, larger ball socket, powdered-metal gusher bearing, grease fitting and knurled housing (where applicable), our Severe Duty Chassis is over-engineered for extended life. When should you choose Severe Duty?